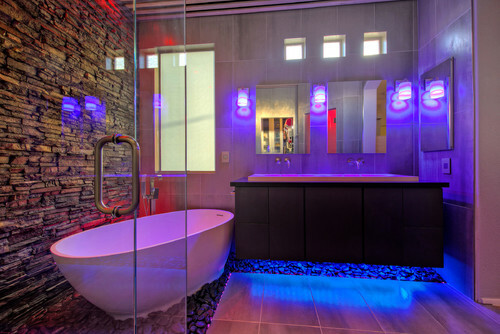 Look to paint, tile and LED lighting to cheer up a sterile bathroom. Sure, an all-white bathroom exudes cleanliness. But a neutral bath tends to have the added effect of feeling sterile. 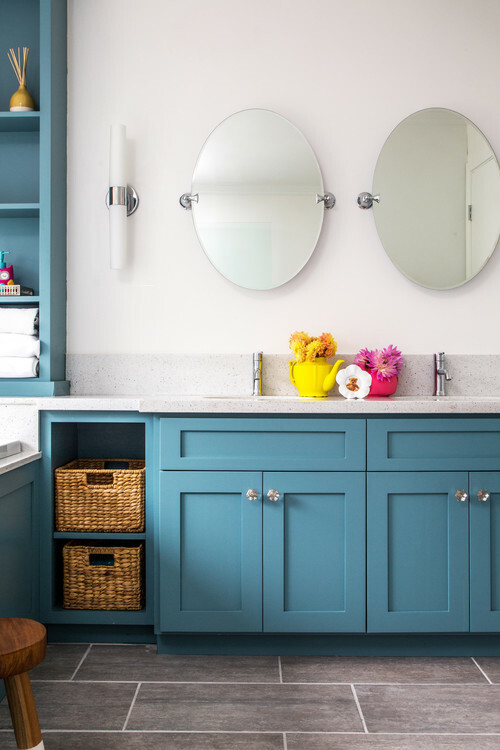 These three new bathroom projects show how a bit of color — introduced in three different ways — can uplift a space without taking away the freshness. See Also from Kiplinger: How Smart a Home Buyer Are You? Homeowners’ request: Update a dated and dysfunctional layout to create a more fun kids’ bathroom. Color cure: Hemlock by Benjamin Moore for the cabinet color. Custom window treatment with Graceful Garden fabric by Waverly. Colorful accessories. 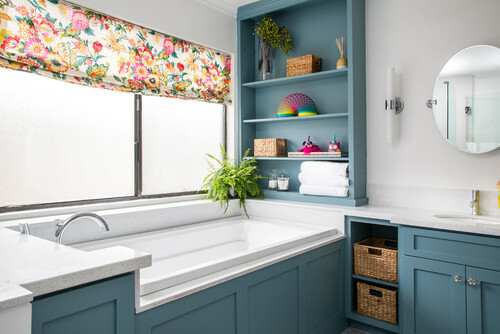 “Because this was a daughter’s bathroom, we went with a gorgeous teal on the cabinetry and balanced the remaining space with white and gray tile, bringing in other colors with the accessories and window treatment,” designer Kelly Finley says. Special features: Cabinets wrap around the room to maximize storage and save space for the tub and shower. 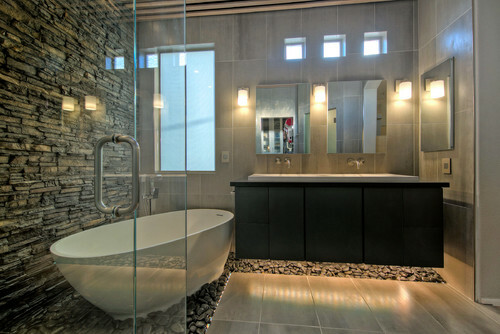 Homeowners’ request: A master bathroom with a large shower and lots of natural light but also privacy from neighbors. Color cure: Turquoise tile. Walnut cabinetry. “We are firm believers in using materials that already have color, such as wood cabinets, so that when we do use color, as we did in the porcelain tile for the shower, it provides a natural, timeless look,” designer Kayla Porter says. Special features: Bathtub window. Marble floor tile. Homeowners’ request: A spa-like escape with a theme of “masculine modern,” designer and homeowner Ryan Shelhamer says. This article is from Mitchell Parker of Houzz.